Vehicles Aerodynamics Students Club (Studenckie Koło Aerodynamiki Pojazdów - SKAP) at the Faculty of Power and Aeronautical of the Warsaw Technical University is another scientific project supported by TME. SKAP (abbreviation of Polish name of the Students’ Club) gathers students and young engineers fascinated with motorization whose aim is to design, manufacture and improve modern vehicles offering exceptionally low fuel consumption. For many years, SKAP has worked over two projects: Kropelką (Droplet) and PAKS, and has continuously been improving them. 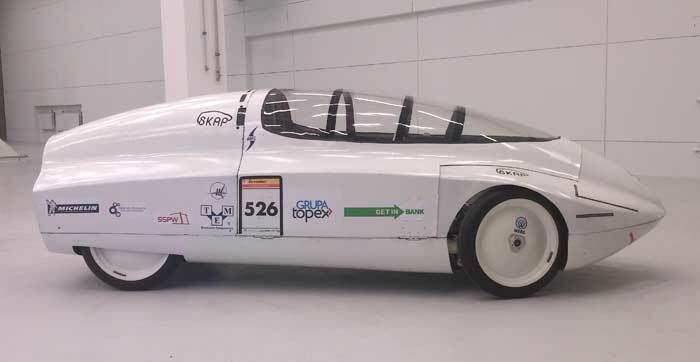 Those vehicles, each year, are presented at prestigious Shell Eco Marathon competition at the racing circuit in Rotterdam, the Netherlands, which is attended by students teams from all over the world. - Kropelka (Drop) in the Prototype category (non-standard shapes and solutions allowing to beat records of low fuel consumption. - PAKS in the Urban Concept category (prototypes of small-dimension, modern vehicles whose external dimensions and functionality are similar to those of vehicles using city roads). SKAP Project are very successful. 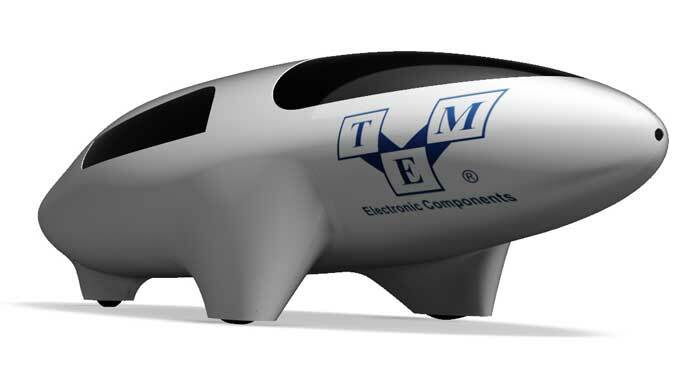 In 2012, The Droplet set a new Polish record in the number of kilometers travelled on one litre of fuel – 659 km (the distance from Warsaw to Gdańsk and back), and received the Gold Medal at the International Warsaw Exhibition of Inventions, it also took first place in the Shell Eco Marathon in the category Safety, and PAKS, in the same category took second place. An important distinction is the Science and University Education Ministry, prof. Barbara Kudrycka Award. TME holds a prestigious position of the SKAP technological partner, providing students with electronic components to execute Club’s projects, among others: equipment to build prototypical electronic circuits. Company’s support has been warmly greeted by Club’s members. „We strive to make used materials and solutions innovative, we want them to be applied in the industry. Unfortunately, high costs and unwillingness of some companies do not make it easy. Yet, thanks to companies such as Transfer Multisort Elektronik(TME) we are able to develop the Club. In January, this year, we started cooperation with TME which from the very beginning became our Technological Partner.” – said Kamil Doroszkiewicz, one of the youngest Club’s members. "High quality products offered by TME will make it possible for US to complete the construction of Engine Test Cell, as well as prepare vehicles to this year’s Shell Eco-marathon competition" - added Edyta Rola, BSc, the President of SKAP. “Collaboration with Transfer Multisort Elektronik is pure pleasure for us. Given support, both material as well as consultative give the momentum to wheels such as ours.” It offers US new possibilities of improving our vehicles and helps us compete with the best at the equal level. From our own experience, we can assure that investments made in Young Polish engineering solutions will never be wasted.”– summarized Tomasz Kołudzki, SKAP’s Secretary. TME wishes young scientists a lot of success at May Shell Eco Marathon competition and in other spheres of life!